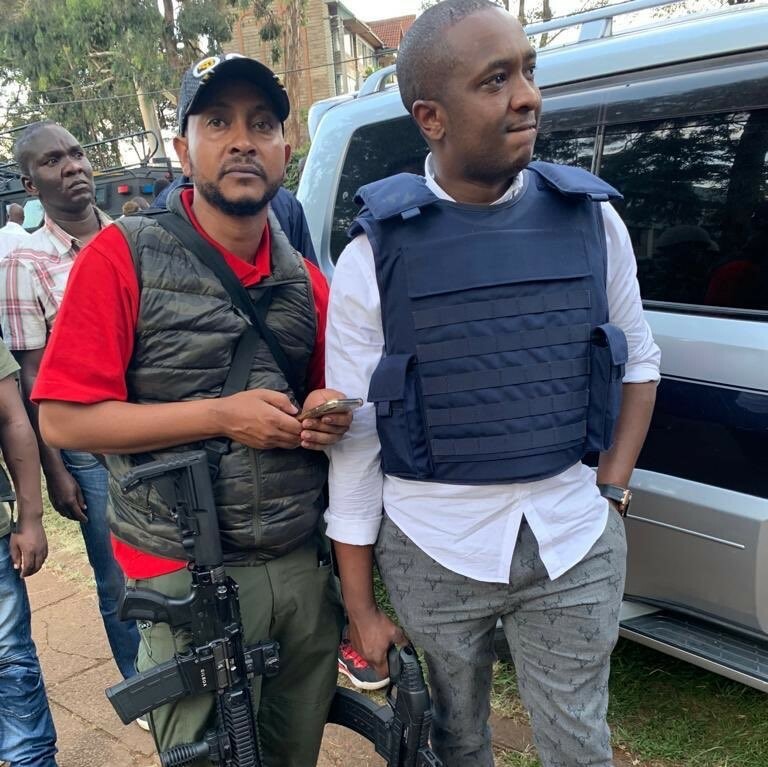 Former Starehe MP aspirant Steve Mbogo was on Wednesday taken in for questioning after an image of him holding an automatic rifle outside the Dusit D2 Hotel went viral. Mbogo who was contesting on an ODM party ticket is being held at the Nairobi Area police station. “They asked me to come and verify the ownership of my guns. We’re currently going through that process at the station. Hopefully, we’ll be done with it soonest possible,” he is quoted by the blog. 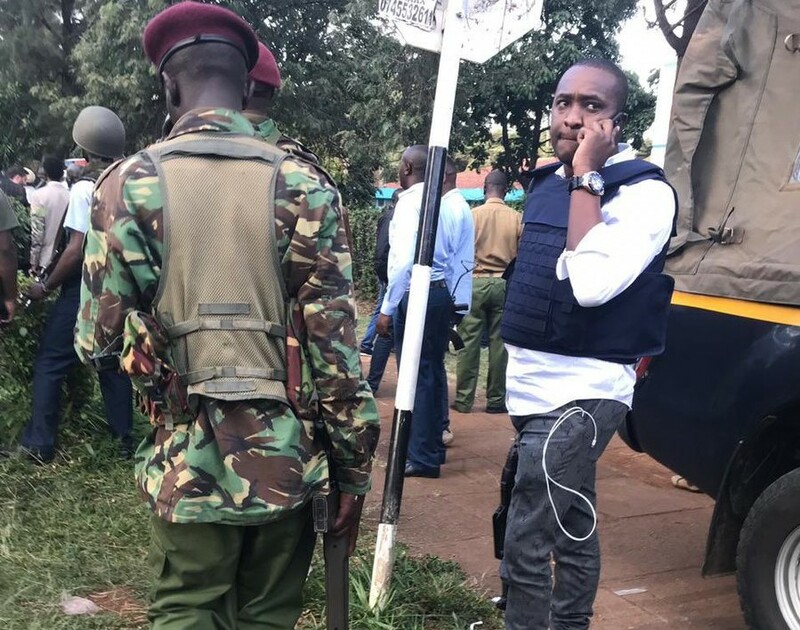 Mbogo was helping with the rescue operations at the upscale Nairobi hotel. In the viral picture he wore a bullet proof vest, and in hand was a sophisticated rifle. “I am a licensed firearms holder. I was running my errands near the Dusit D2 Hotel here in Nairobi, when I learnt that the facility was under a terror attack. Because I was in a position to help, given I have good knowledge on how to handle firearms and protect myself against such situations, I went in to help in the rescue operations. If you are asking in what capacity I was there, I would tell you: I was there as a civilian, who is mandated by law to handle firearms,” he explained to the blog. Mbogo also posted a gory video of victims of the attack that left 14 dead and others injured. The security operations have since been called off after police successfully took down all the attackers. Later, CS Fred Matiang’i flanked by head of public service Joseph Kinyua visited the crime scene. Also present was Nairobi Governor Mike Sonko who has been away for the past couple of days in Mombasa. The absentee county boss showed up with a firearm for all to see.